Human life is too important to be ignored! “We were flown over 4000 km to Ottawa on Ontario to receive an award on Parliament Hill from the C.E.A. the Canadian Electricity Association for serving to educate twenty countries in the dangers of high voltage to first responders in the field while at the Rallye Rejviz 2012 with the Epsilon scenario. The awards were presented by a local Member of Parliament MP Mark Warawa and by Canada’s Minister of Labour Lisa Raitt. As seen in the picture from left to right Mark Warawa P.C. M.P. from Langley B.C. 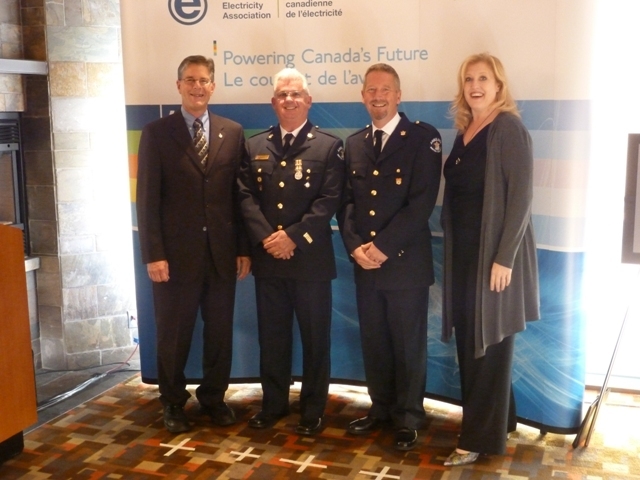 then Paramedic Clarke McGuire, Paramedic John Richmond with Lisa Raitt our Minister of Labour on the right. Many other dignitaries were in attendance such as the president of the C.E.A. and the Minister of Defense Mr. Peter MacKay. 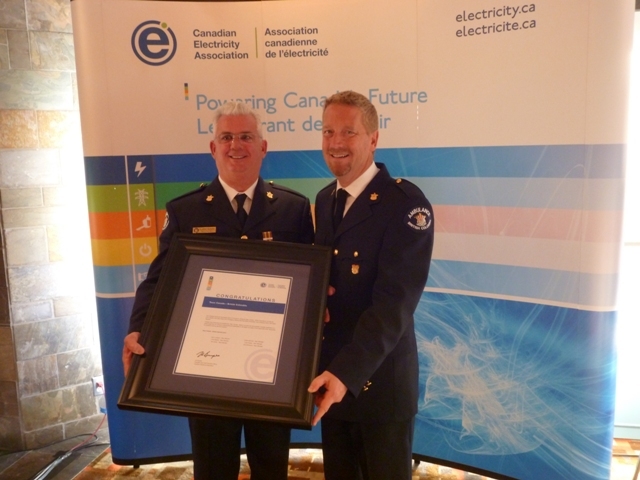 They were pleased we made electrical safety an issue not only across Canada but internationally. We in turn praised the Rallye Rejviz and your efforts for your role and how you bolster our profession world wide. The C.E.A. communications staff told us how they had been to our website and the RR website many times and was thrilled at what they found and how we promoted everyone involved and placed lot’s of emphasis on safety.